Your personal and professional development is our business. We honor the spirit within ourselves to create a better world. Our mission is to provide high-quality publications and meaningful services meant to inspire, inform, entertain, and help you grow. Your trusted source for oral and written communications. 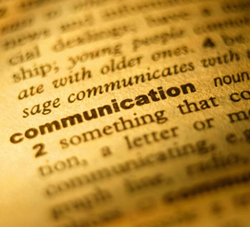 Come to Good Day Media for help with your oral and written communications. After all, how well you express yourself makes the difference between merely being understood and impressing with persuasive impact. You want your intended audience to fully experience what you have to offer. Your words, intonation, and presence tell a story whether delivered in person, in print, or on the web. Many people are knowledgeable in their particular area of business; however, they may not be adept at how to communicate that expertise to obtain the best results. That’s why we provide high-quality publications, presentations, writing, editing, and coaching for personal and professional development. You can rely on us to polish your important communications. You shine and take all the glory! We tell it like it is--only better! 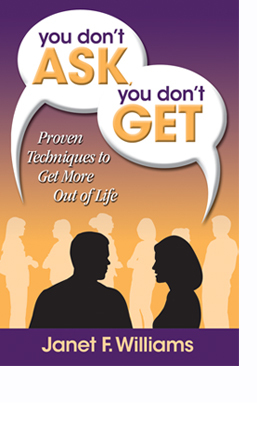 Get a fresh approach to situations you frequently encounter: sales, sales training, business communications, business etiquette, motivations, stress management, and the like. We provide content in the form of workshops, author talks, and other presentations that are perfect for conferences, on-going training, Lunch-and-Learns, meetings, networking events, and more. We excel at writing and editing. Let us supply your blog posts and articles. Now you know our specialties. For maximum benefit, let us integrate them with yours. Contact us today and find out how we may serve you. It's our mission! Learn more about training and presentations. Learn more about writing and editing. Learn more about coaching and weddings . Learn more about author Janet F. Williams. Learn more about author Zoe Amos.